Plaza decks with vehicular traffic offer many design and construction challenges to the protection of the building from moisture invasion. 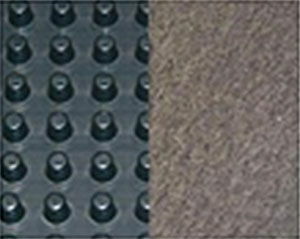 J•DRAIN drainage composite are designed to guide the water off the deck eliminating the potential penetration of moisture into building. 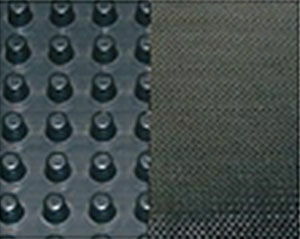 J•DRAIN drainage composites are engineered to be installed on the plaza deck to reduce hydrostatic pressure and to protect the waterproofing membrane while efficiently channeling the water away. 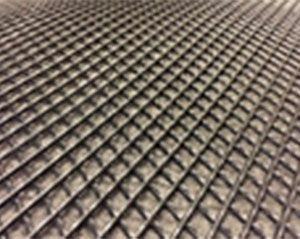 The three dimensional core creates a high compressive strength and high flow capacity drainage channel and the heat fused filter fabric prevents soil intrusion into the flow channel. 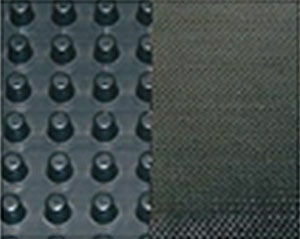 The use of a J•DRAIN drainage composite shortens the construction process offering a cost savings.